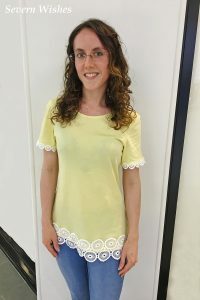 On my most recent visit to my favourite Hair Dressers, Toni and Guy, my stylist used their latest curl cream on my hair after my cut. To style this cream she scrunched it through my wet and freshly cut hair and then placed me under a hooded drier for thirty minutes. I was so impressed with the results afterwards that I asked to see the bottle and know more about the brand. 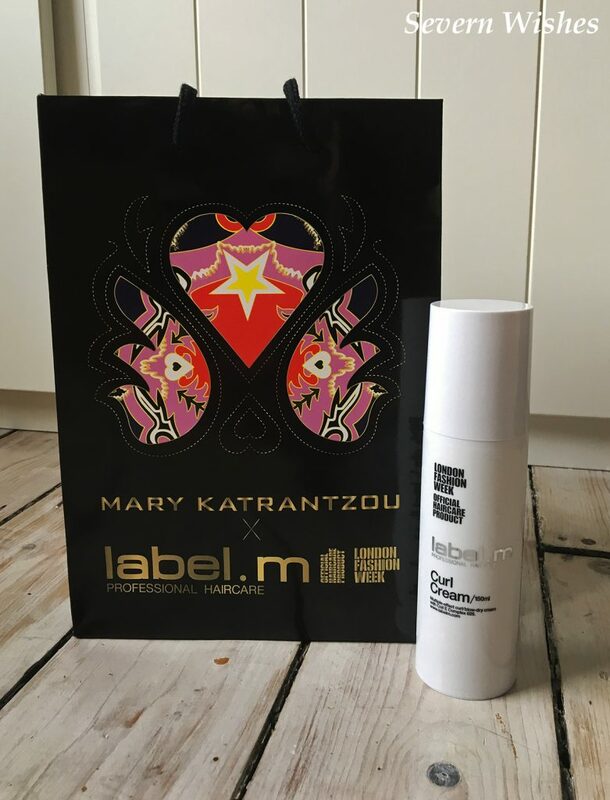 Used at London Fashion Week Label.M is a professional hair care brand developed for use by professional stylists. I decided to purchase some to take home, my hair really seemed to like it and the curls bounced up as it dried fully. (Above; My Hair straight after having it cut and styled with the curl cream). Here is the product, it comes in a 150ml bottle but every pump goes a long way. It contains natural ingredients including Jojoba, Bran and Extract of Sunflower. The smell is just apparent as you rub the cream through your hands, and its easy to apply in your hair. 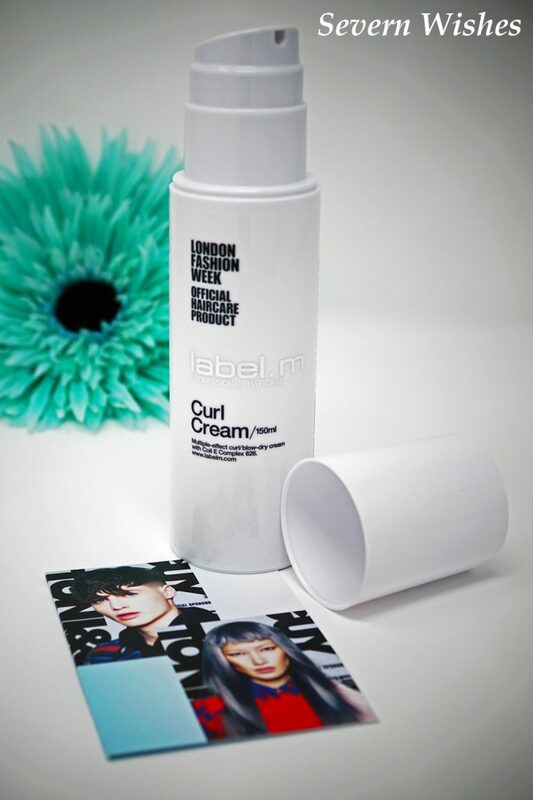 Comb it in with your fingers, and then scrunch small sections at a time to create curls. Then either let dry naturally or slow hair dry with a diffuser. My hair loves this product. I use it twice a week on my hair after shampooing and conditioning, squeezing out the excess water and applying it on my damp hair. After scrunching I let it sit for five minutes in a head towel before blow drying on a medium heat with a diffuser. Comparing images of my hair from three months ago versus my hair now, you can see how less frizzy it is, overall it looks shinier and healthier since using this product. 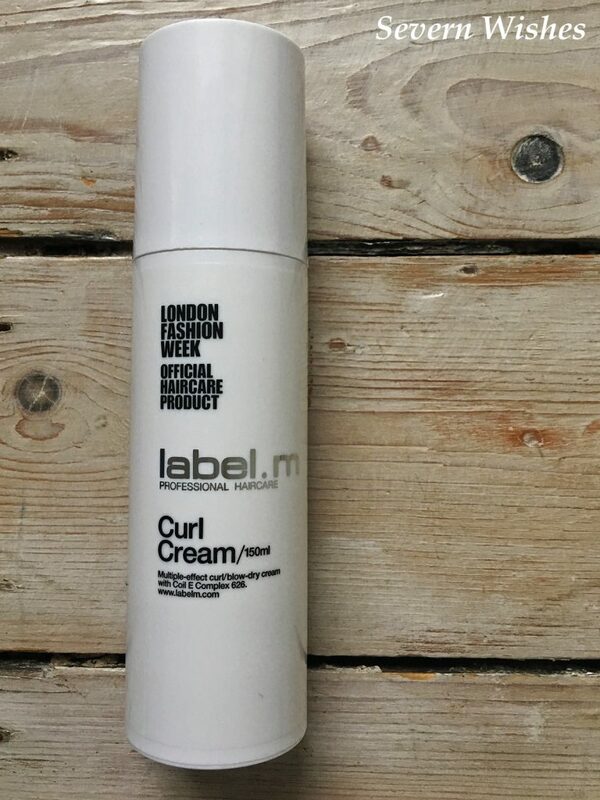 Not only does the curl cream suit my type of curly hair but it also contains a complex that protects against both heat styling and UV Rays so it’s good for the whole of your hair. Honestly, these bottles aren’t cheap, they are around £15.00 each, though the product can be used sparingly and your use would obviously depend upon the length of your hair too. Like I said earlier in the post I only use two pumps on my long hair, twice a week, so it’s taken me almost three months to get through my first bottle. 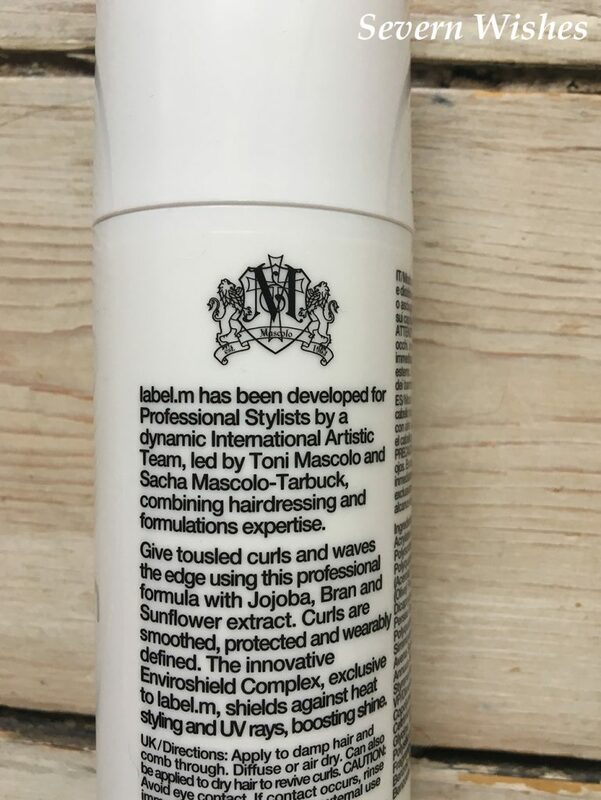 Right now I don’t use any other hair sprays or frizz control products on my hair because of the way my hair has responded to this treatment cream, I should save money in the long run hopefully. (Above; My hair after using the product at home). 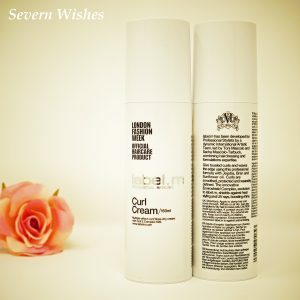 Overall I adore this Label.M Curl Cream and I will continue to use it while my hair prefers it to my other brands. I have also researched and you can buy this brand online at certain retailers as well. 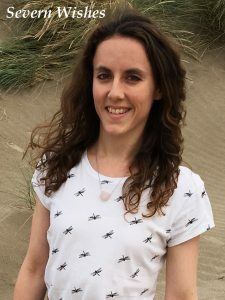 This entry was posted in Beauty, Fashion & Beauty, Hair Products, Label.M, Lifestyle, Reviews by Sabrina. Bookmark the permalink.